Leasing is a popular option for Cleveland drivers looking to drive a luxury vehicle home. 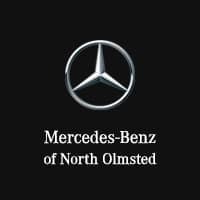 Thanks to the current Mercedes-Benz lease offers available at Mercedes-Benz of North Olmsted, you can drive home in that new GLC or C 300 you’ve had your eye on without the stress. If you have questions or would like to learn more about our current Mercedes-Benz lease offers, feel free to contact us. We can’t wait to help you find the vehicle you’ve been searching for at a price that won’t stretch your budget. 2019 A 220 4MATIC® Sedan $369 Per month lease for 36 months. Tax, doc fee and title additional. 2020 GLE 350 4MATIC® SUV $659 Per month lease for 36 months. Tax, doc fee and title additional. 2019 CLA 250 4-Door 4MATIC® Coupe $339 Per month lease for 36 months. Tax, doc fee and title additional. 2019 GLA 250 – $389 Per month lease for 36 months. Tax, doc fee and title additional. 2019 GLC 300 4MATIC® – $479 Per month lease for 36 months. Tax, doc fee and title additional. 2019 C 300 Coupe 4MATIC® $529 Per month lease for 36 months. Tax, doc fee and title additional. 2019 SLC 300 Convertible – $549 Per month lease for 36 months. Tax, doc fee and title additional. 2019 E 300 Sedan – $599 Per month lease for 36 months. Tax, doc fee and title additional. 2019 E 450 4MATIC® Sedan – $679 Per month lease for 36 months. Tax, doc fee and title additional. 2019 GLS 450 4MATIC® – $809 Per month lease for 36 months. Tax, doc fee and title additional. 2019 S 450 4MATIC® Sedan – $1,199 Per month lease for 36 months. Tax, doc fee and title additional.